Making my own bath bombs is by far my new favorite DIY idea lately. 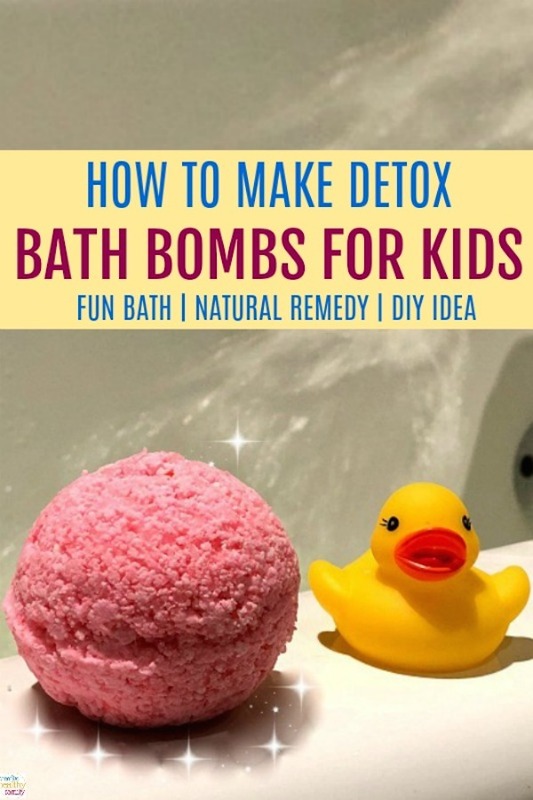 Let me show you how to make them into detox bath bombs for kids. A super healthy and fun way to take a bath, and a very effective natural remedy to fight colds! Bath bombs are everywhere, and they have become very popular, especially among kids. If you haven’t seen them yet, let me tell you that you are really missing out because they are awesome! Not only are they super fun because they fizz and bubble when wet, but they also will bring lots of health benefits for your kids. Remember my post How To Kick Colds Fast With A Detox Bath? I love giving my kids detox baths because it cleans their systems of toxins, they absorb magnesium (a miracle mineral), and it boosts their immune system. Wait! 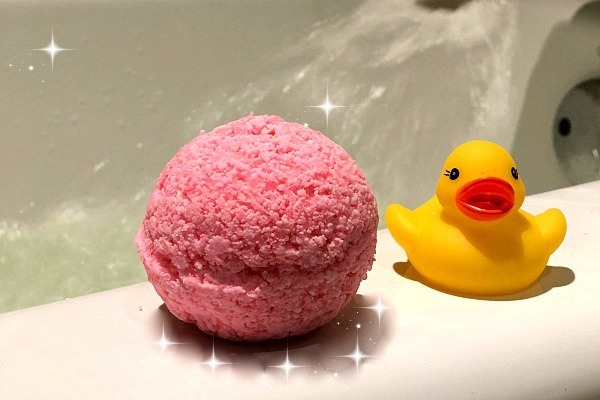 These detox bath bombs also calms them down, make them sleep better, and fight colds faster. Win! Win! Epsom salts are fantastic and can bring amazing health benefits. 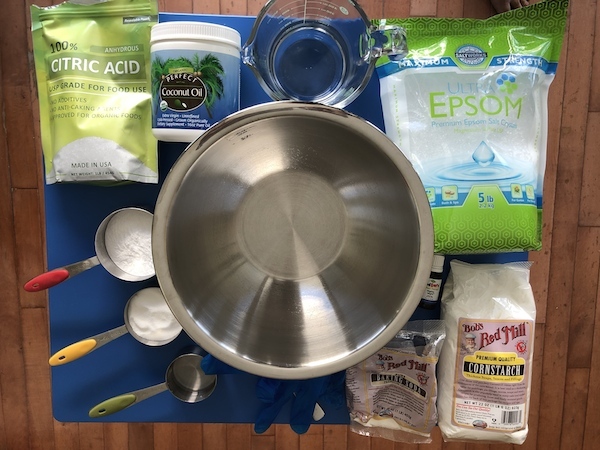 Discover the wonders of magnesium in Epsom salts HERE. So now, I found a new way to give them a detox bath with little fizzy bath bombs. And you can even make them more fun and exciting by putting little surprises inside! Add a little mini figure inside your bath bombs and let your kids discover it when it fully dissolves. Your children will magically find a “mystery” mini figure, and will be loving their baths waiting for more bath bombs each time. Bath bombs that you buy at the store will contain artificial ingredients and dyes, but you can make your own with all natural ingredients! And as a bonus they will help bring fantastic health benefits too. What can be better than this? Fun, healthy and all natural bath bombs you can easily make for your kids at home. Try to use the best quality ingredients to make sure the detox bath is effective. Remember that you are cleaning your kids’ system of toxins, so you don’t want to add any during the process. I always try to buy natural products for my home and avoid artificial dyes and strong chemicals. Use your favorite essential oils (optional), and give these bath bombs natural fragrances. I picked Calming The Child Essential Oils for this detox bath bomb recipe because I wanted to make it VERY relaxing! Other essential oils that will be great are Lavender for a good night sleep, or Tea Tree for colds. You can also make your detox bath bombs any color you want, just make sure you choose a natural Food Coloring product. It’s totally optional because your kids will be so happy just by how the detox bath bomb dissolves in the water making lots of bubbles. Baking soda and citric acid mixed and put in water, will make the water become fizzy. Detox bath bombs are also a super fun DIY gift for friends and family. Make a big batch, keep some in your home, and give away some for your friends and family. They will absolutely love them! Bath bomb Molds . You will get 3 different sizes and also some bags for storage. 4. Take out the bath bomb molds and fill each side with the mixture. You can also add a mini figure inside (optional, but so much fun). It is like an egg surprise toy at bath time. Press both sides together tightly, and tap around the molds with a spoon or with your hand, to prevent sticking. Tip: I added a little bit of coconut oil to my molds and the bath bombs came right out. 5. Let your detox bath bombs dry overnight. Be careful because they are kind of fragile. They will set and be ready for the detox bath the following day. Make sure you keep your kids in the water for at least 15 minutes. Make sure you rinse well afterwards and towel dry. 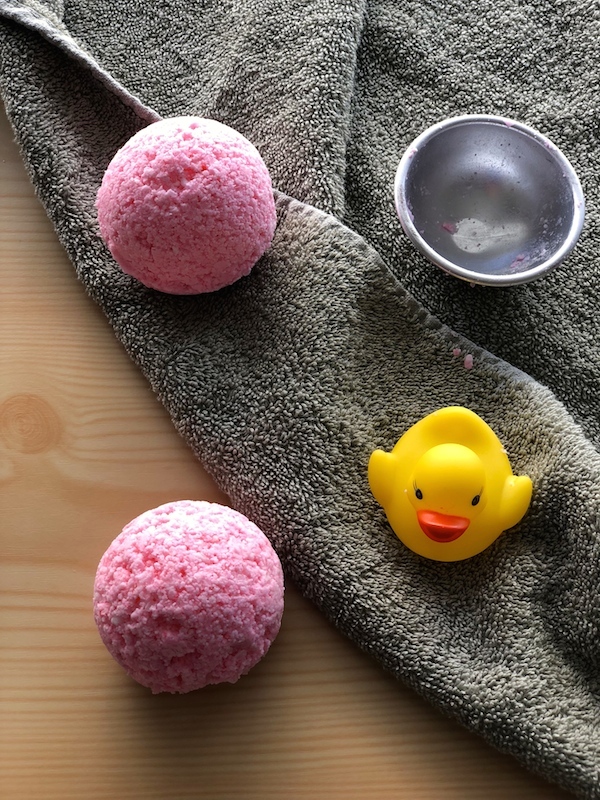 This recipe makes about 6 medium size bath bombs and they can be used as often as you like. Learn more about the wonderful benefits of magnesium HERE. You are now ready to have so much fun with your kids at bath time! Remember to use the best quality ingredients you can possible get, and get the wonderful benefits of a detox bath! If you are interested in other natural remedies to fight colds, and how to keep your family’s immune system strong, please see my post 6 Natural Ways To Protect Your Family From The Flu. Detox Bath Bombs For Kids post contains affiliate links. The products linked are the products I use at home, and I highly recommend. If you purchase a product through an affiliate link, your cost will be the same but Creative Healthy Family will automatically receive a small commission. Your support is greatly appreciated. Thank you. I was gifted bath bombs last year for Christmas and loved them!! It would be so fun to make my own, maybe I’ll find some time during the holidays ???? These bath bombs are so cool and pretty simple to make. I’m definitely gonna give them a try ???? I love them too! They are great for kids and adults! How long do these bombs last and how do you store them? I store them in a ziplock bag in the bathroom at room temperature. When I make them I usually store them for about a month. I’m wondering what may be a good substitute for coconut oil? Hi Jessica, In this case the coconut oil works great and also moisturizes the skin naturally. You might want to try almond oil, I’ve heard it is a good substitute but haven’t tried it myself yet. Thanks. Can you do arrowroot powder instead of cornstarch and would the measurements be the same? Hi, I really don’t know if you can substitute with arrowroot. Sorry! How many bath bombs would you use per bath for them to actually detox? And would you use extras if 2 kids bathe together? Thanks so much! These look great!